The Mazda CX-9 is the brand’s largest crossover, and in the past few years has gained the title of the brand’s flagship. It offers the most of Mazda’s crossover qualities, from its seven-passenger seating to its lavish and luxurious Signature trim. What’s New for the 2019 Mazda CX-9? For the 2019 CX-9, Mazda is continuing its favorite past time of small price bumps to accompany a number of new features and architecture tweaks. The starting price jumped $150, which at the top end translates to an increase of about $1,000. This comes with newly standard Apple CarPlay™ and Android Auto™ in all but the base trim, a thicker headliner and floor mats, a slightly tweaked suspension, plus a few more new features spread across the trim levels, including a frameless auto-dimming rearview mirror in the Touring trim and ventilated seats in the Grand Touring model, among others. The 2019 Mazda CX-9 is the largest of the brand’s crossovers, using its KODO: Soul of Motion design language. Its looks and exterior features are mostly unchanged from the previous year, save for power-folding mirrors on Grand Touring models and new badging for the Signature trim. Each CX-9 gets its power from a 2.5-liter turbocharged four-cylinder engine. 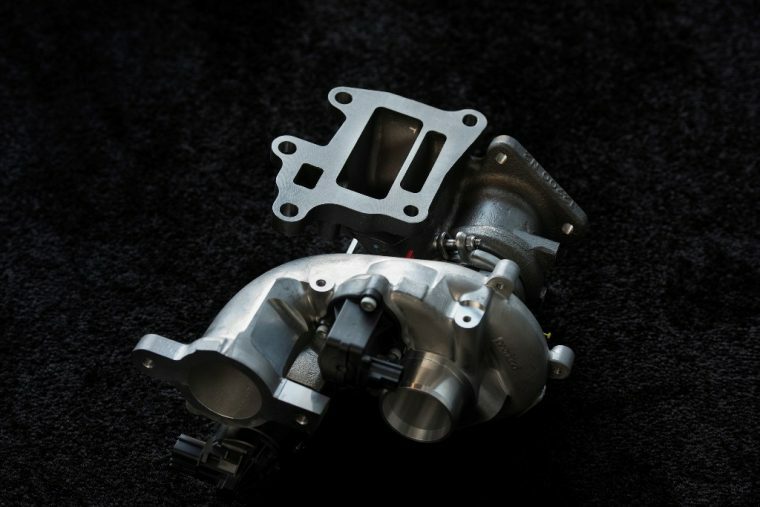 When filled with regular gasoline, it produces 227 horsepower and 310 lb-ft of torque, but filling it with premium 93-octane boosts that power up to 250 horsepower. This comes with a six-speed automatic transmission and either front-wheel drive or Mazda’s i-ACTIV AWD®. 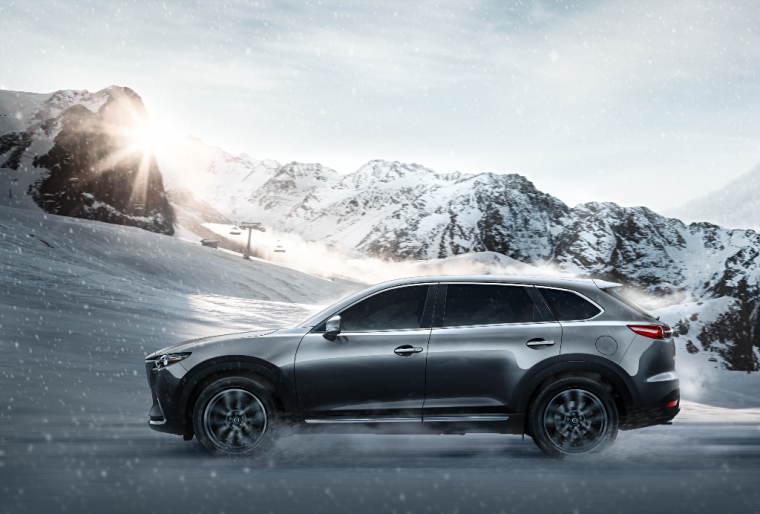 When the 2019 CX-9 uses front-wheel drive, it delivers 22 mpg in the city, 28 mpg on the highway, and 24 mpg combined. With all-wheel drive, this dips slightly to 20 mpg in the city, 26 mpg on the highway, and 23 mpg combined. 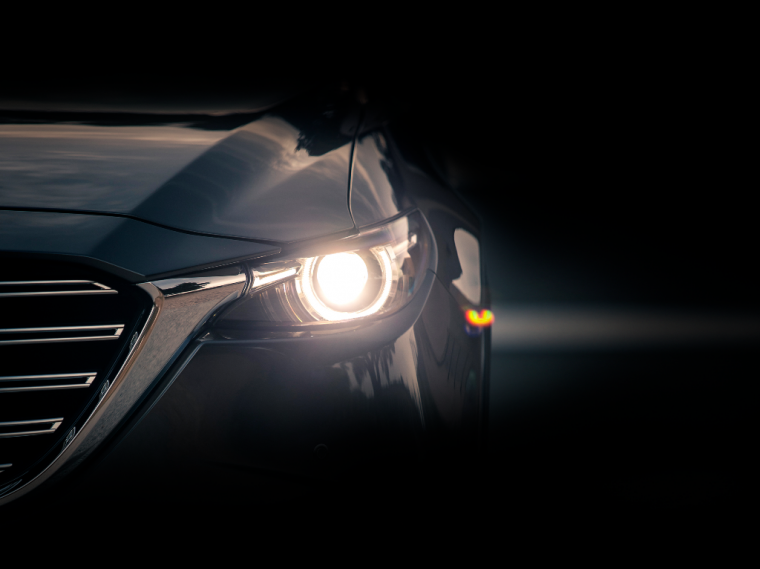 The CX-9 is Mazda’s crossover flagship. This first means that it is the largest in the fleet, with seating for up to seven passengers. Then, it means that the interior of the CX-9 features the best that the brand has to offer. At the base, this means some premium features like a triple-zone automatic climate control system and leather wrapping for the steering wheel and shift knob. At higher trims, standard features become increasingly luxurious, until you reach the Signature trim, which includes such touches as genuine Santos Rosewood inlays, heated and ventilated Napa leather seats, and a heated steering wheel. The 2018 CX-9 was an IIHS Top Safety Pick, with good ratings in every crash test and superior crash prevention. 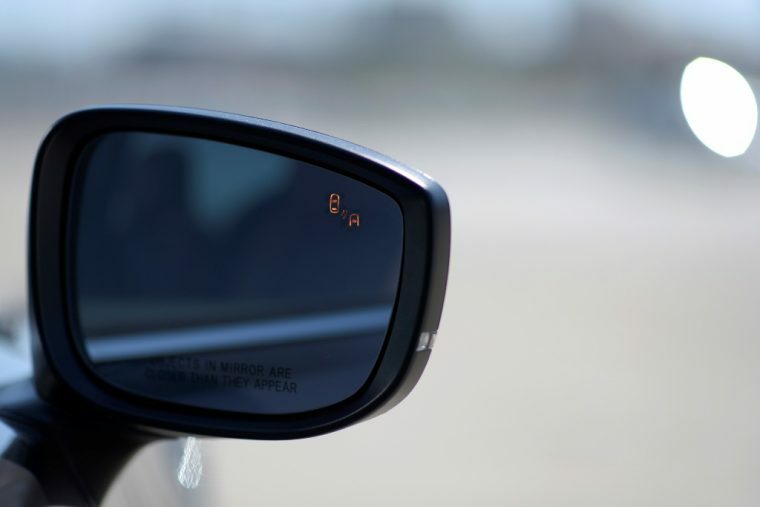 It did miss out on the Pick+ distinction, though, due to its headlights — the IIHS rated them as Acceptable. 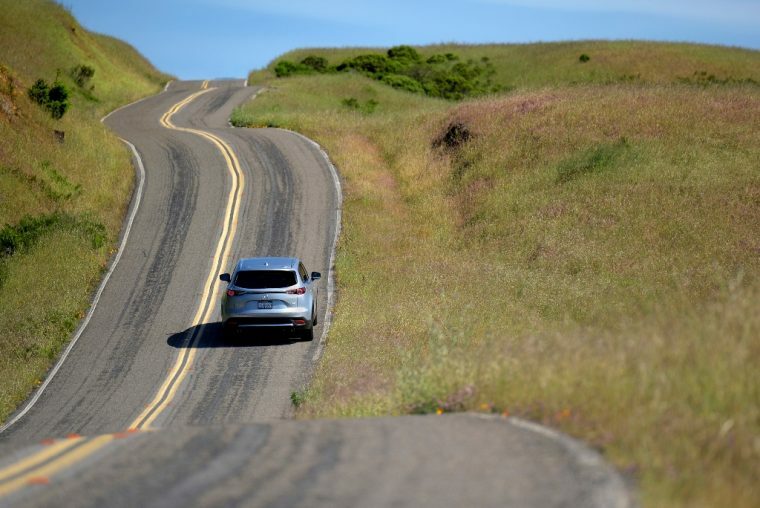 The NHTSA seems to second the IIHS’s opinion, as it gave the 2018 CX-9 a five-star rating in both front-wheel and all-wheel drive models. Measuring Up: How does the CX-9 fare up against the Acura MDX?